I would first like to thank Trina of Baby Shopaholic and G of Whats More Important Than Fashion? 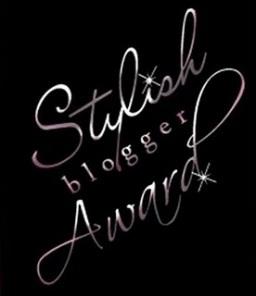 for awarding me the Stylish Blogger Award. Secondly, I would like to apologize for not complying with the protocol when initially awarded. By day, I am a corporate trainer for Hansgrohe, a high-end Bath and Kitchen fixtures manufacturer. My senior year of college, I interviewed with Delta Airlines for a flight attendant position. But when offered a college admissions counselor position, at my alma mater Dillard University, I quickly accepted that offer instead. I confess---I am a serial entrepreneur. 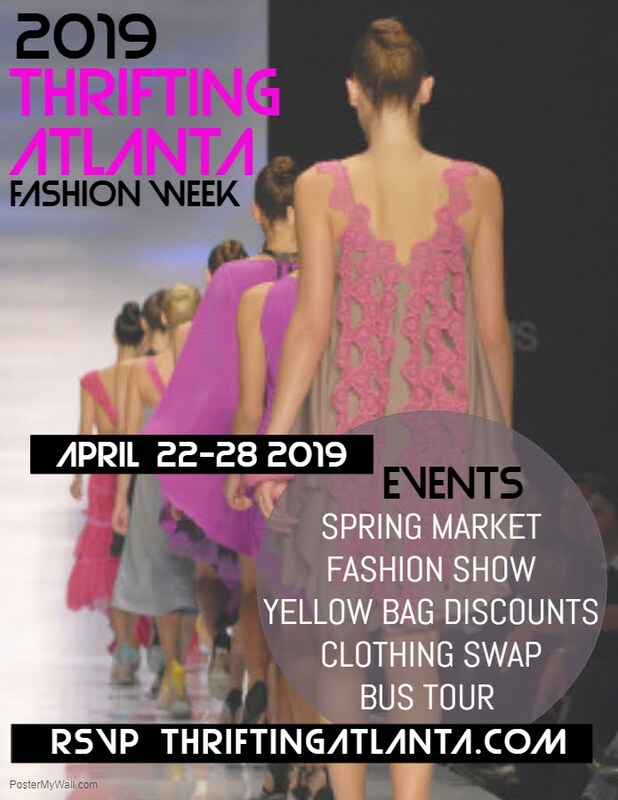 I own a formal dress rental business, I am fashion stylist and personal shopper, I host fashion swaps in Atlanta and I am the director of Operation Prom Atlanta. I am ready to get married again and start a family. My biological clock is ticking!!! I love soca, calypso and reggae music and I live for Trinidad Carnival. I am a member of Alpha Kappa Alpha Sorority. 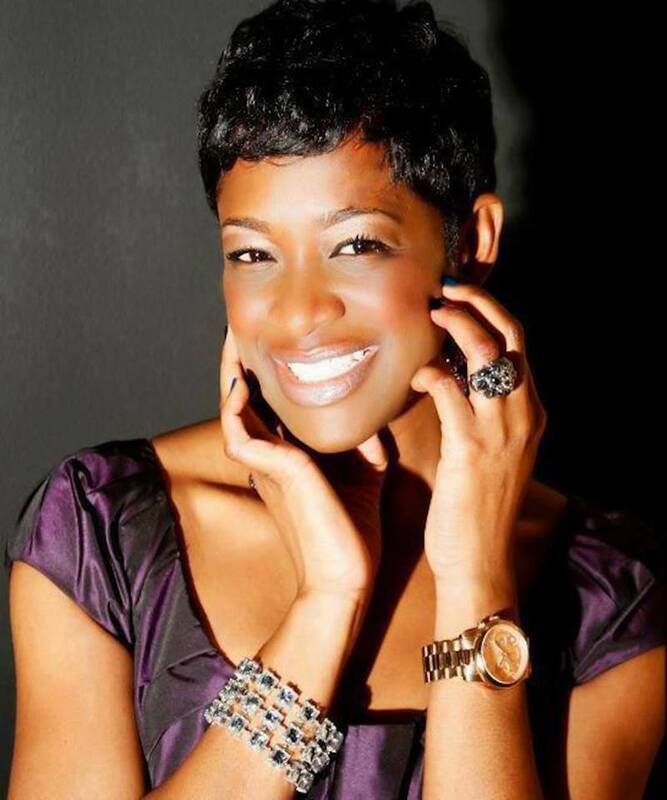 Thanks again to Trina and G for recognizing my blog as Stylish... I appreciate it! The past couple of weeks have been a bit of a struggle for me, trying to balance my life around one of my loves-- Two Stylish Kays. Let's just say that divine intervention allowed me to stumble across The Lifestyles of the Thrifty and Shameless which led me to Shana of ColorBlind. Both are two wonderful blogs about thrifting. 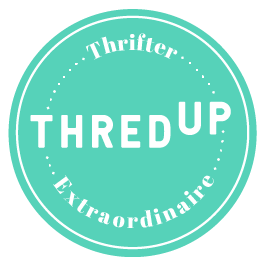 So I joined Shana's Link Party to showcase my latest thrift store treasure and I was completely surprised to find out (via Twitter) that I was selected as the Thrifters Anonymous Member of the week. This announcement was my confirmation to continue moving forward. How often is it that people don't live their best lives because they are mentally and emotionally stuck in the past? Maybe it is because of a losing a job, failing at a relationship, missing a once-in-a-lifetime opportunity, or being wronged by someone. These are just a few of life's circumstances that can be hard to overcome if you are not new beginnings oriented. All it takes is an assertive and committed decision to release any ill feelings or thoughts that are holding you from walking into a new personal season. Go ahead, the best awaits you! So I encourage you to check out Shana's blog and join the Thrifters Anonymous Link Party every Monday to showcase your thrifty finds. In my short time as a member, I have found the support, encouragement and network that I need. Clothing: I personally don’t think you have to dry clean everything, just because it is thrifted. That can be very expensive. So just look at the label and follow the instructions. Shoes: Spray with a disinfectant spray like Lysol and use diluted vinegar or rubbing alcohol for the insoles. Jewelry: Wipe the piece with rubbing alcohol and let it dry completely before wearing. Do have some cleaning tips that you would like to share? Also do you clean your clothing, new or used, before you wear them for the first time? This summer, we have decided to take a break from the expected; you know, the usual "oh I'm going to just relax," which could easily become doing nothing and complaining about missed opportunities later. In order to avoid such a rut, we both intend to expand out horizons to new areas and experiences this summer. Visit people we been promising to see over the years; experience weather different than we've come to know; eat food we have been wanting to try; finish book we stopped reading midway through; and experiment with styles that are not typically ours. How do you plan to take it up a notch? When styling this outfit for the Bloggers Do It Better Neon + Neutral Fashion Challenge, I chose to use a pop of bright yellow to intensify my neutral palette. This stark contrast reminded me of the beauty that could be found if we look on the bright side of things. Yes, in life, joy can be found on even the gloomiest of days and during the darkiest nights. Even if you think your circumstances are troubling and you can't seem to find a way out, put on a pair of rose-colored glasses and drink from the glass that is half-full! Because joy will come in the morning and resemble the vibrant colors of the sun. Look for bargains- Most clothes at thrift stores are used so take advantage of the low prices. But don’t simply buy items because of the price. Make sure that it is something that you love and can integrate into your wardrobe. Stock up on accessories- One of my favorite finds when shopping thrift stores is the costume jewelry section. The selection ranges from vintage to trendy. I also stock up on leather belts, clutch purses and scarfs. These are great items that are an easy way to update and transform an outfit. Experiment with a new style or the season’s hottest trends- The huge selection of clothing available at thrift stores is a great way to try out a new style. It’s an inexpensive investment to determine if you would like a certain look. Plus there is no guilt from paying full price for items that may end up in your closet unloved. Spend Time, Save Money- One of the most important things to remember about secondhand style is that it requires patience and thinking outside the box. Unlike department store shopping, where you are wowed rack after rack of clothing, a thrift stores is sometimes a hit or miss. But if you can spend the time, you will find so many new inexpensive additions for your wardrobe. Nothing says femininity and romance than wearing lace! So I was so excited to participate in this month's Everybody Everywear Challenge. I paired one of my favorite lace tops with a navy and white polka dot pleated skirt. I added my multi-strands of pearls to give a true feminine touch. I tell you, this top feels so beautiful and delicate on my skin! ...their feathers are just too bright. This is a quote from my favorite movie, The Shawshank Redemption. So true that no matter what attempts are made to restrain an individual; some spirits are inherently free. Lately the color of my life has been made more intense by quiet moments in my own company, heartfelt laughter with a friend, and journeying through a delightful emotion that I thought was gone forever. I am opening my own cage, and I am enjoying the freedom. People often wonder how and why I shop thrift stores, especially when I complain about how overwhelmed I get when I step into a department store. It’s the thrill of the hunt. There are bragging rights when finding that perfect piece and saving a lot of money too. Kawana will tell you that my favorite response is..."Oh, I can find that at the thrift store." I have to admit that I always check the thrift store first before I go to other retail stores. It's therapeutic. It is very hard to explain how calming and meditative it is to shop racks upon racks of second-hand fashion. I can lose track of time while I there. If I have a rough day and need a quick pick-me-up, thrift-shopping becomes my escape of choice. It helps me forget what I am going through. It's nostalgic. There are certain memories that clothes may bring up. Seeing a style of dress my mom wore when I was a child; acid-wash Chic or Lee jeans that I wore during my freshman year of high school; or an ESPRIT sweatshirt that the group of "mean girls" wore, evokes memories that make me smile and laugh and cry again. It's doing a good deed. Most thrift stores are run by non-profit organizations that raise money for people in need. Thrifting also saves the environment because it promotes recycling and reduces resources used to produce products. It feels good to know that I am helping my fellow man. For years, I was a bit ashamed to be seen or even let my friends know that I was an avid thrift-shopper, because years ago there was a social stigma attached to it. Today, it has become more accepted. 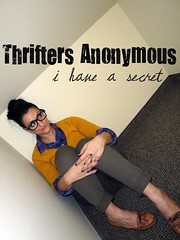 So I have a question for my thrifty friends...why do you shop thrift stores?